Recently, I wrote about music lessons and I encouraged you to let your kids learn on their own if you can’t afford lessons. Now I want to share with you just a little bit about all the amazing things your kids will learn (and you will too, if you give yourself the chance!) as they practice playing the piano! 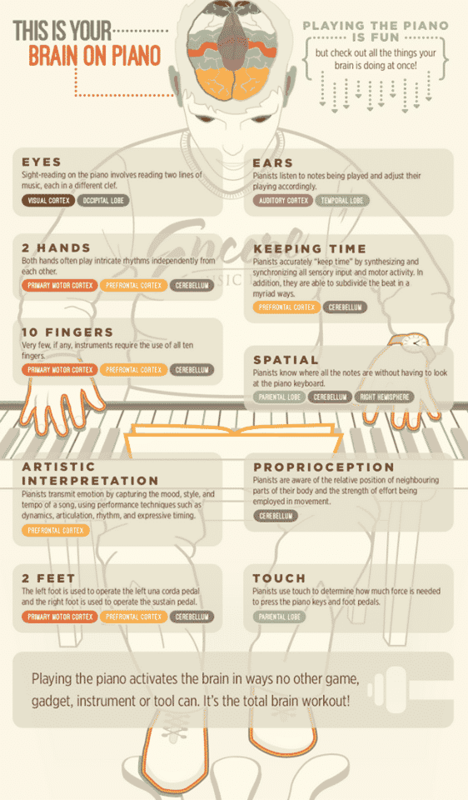 This info-graphic, created by Encore Music Studio, does a great job of showing you the benefits of studying an instrument, especially the piano!